This was a bit of an odd choice for my first build considering how small, and therefore a bit difficult to work with it was. But I was successful and my in-laws are very happy with it. I had trouble getting the motherboard in. I had to push the cables out of the way to just the right positions before I finally managed to get it in. I also had trouble fitting this particular ram into this particular motherboard. Not sure where the fault lies. I did manage to get it in but I had to use a lot more force that I would have liked. 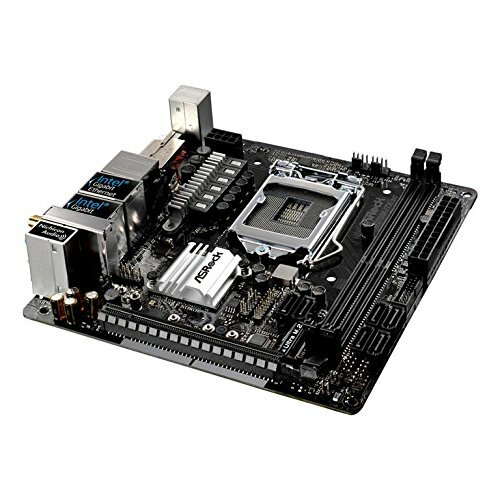 A cheaper b250 board would be fine for this build but my in-laws requested 2 HDMI ports so that was why I went with the ASRock h270. All in all, it looks good, it's tiny, it affordable, and it runs great for general usage such as web browsing. Its quiet too! Dang, I love the case! Only wish they had made it a little bit larger so users could have the option to throw a tiny graphics card (such as the MSI GTX 1050 TI 4GT LP ) in there. But for a build like yours where one is not needed and the on-board graphics is more than enough, it looks great! You even did a great job with the cable management, in a case as small as this. And for some reason I'm very pleased you removed the sticker from the CPU cooler; it actually looks a lot better without it, and blends everything together. With a video card, he could use a PCI-e ribbon cable to add a video card externally to the system and make a mini case for it (like external hard drives do). The issue though is the 150 watt power supply might not be powerful enough to power much. Thanks! It is a nice little case. I think there are rumored RX 550's in single slot and low profile persuasions. It might not compare directly to a 1050ti but it would work. I've seen half height or single slot 460's, not both. At least not for sale in the US. The 470 is my bottom limit for 1080p though. A 460 will get the job done except in AAA titles. I'd be happy with either but unfortunately the case not only lacks a single expansion slot, but there's no clearance between the PCIxE slot on the motherboard and the power supply. Had they designed the case a tad bit larger it would work. 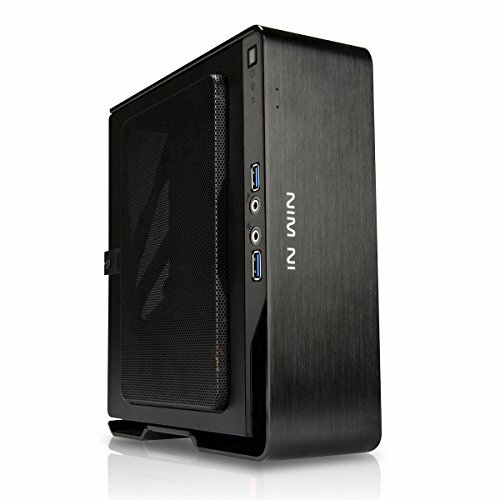 But the manufacturer clearly designed this case as an HTPC, and not a gaming, case. Still, that'd make one heck of a “console-killer” build if you could. It has a pop out for a small something but could easily be dremeled out to fit a half height/single slot GPU if it existed. Cooling would be interesting. I had a Chopin (recycled from work) that I modded to fit a PCI wifi card. Quite the barebones system. I can't say it doesn't look good though. It's simple and rugged. I like that. Whoah, this is AWESOME! Now I'm inspired to make an HTPC using this case! How many HDD/SSD spaces does it have? Thanks! It has room for two 2.5" drives. And a m.2 drive, if your motherboard supports it! Plus, now there are plenty ‘o inexpensive HDD’s in the 2.5 form factor; so between the m.2, and a pair of HDD’s, most people will have plenty o’ room! Big thumbs up! Looks great. I love how you pulled the Intel sticker off the stock cooler. It looks bad-***. This is awesome. Nice job! You need a Skylake CPU to update the bios so that it will work with Kaby Lake. They might be shipping with the update, but I'm not sure, which is why I went with a Kaby Lake board. Nice build, should last a while being an internet only PC and also extremely small for minimal desk space. I would personally hate building in a case THAT small however as I would have a nightmare doing cable management with my giant hands since that is something I am really picky with on my own builds. I would say for the actual use you stated it was for the built in graphics will be just fine and that PSU might be a bit weak for even a single slot video card as its only a max of 150w. Your PC is estimated to use 100w already and the video card will need another 75w for peak power. It "Might" work but I doubt you will notice a difference in speed when using facebook. I bought it from Newegg but it doesn't seem to be available there now. I'll let you know if I find it anywhere else.